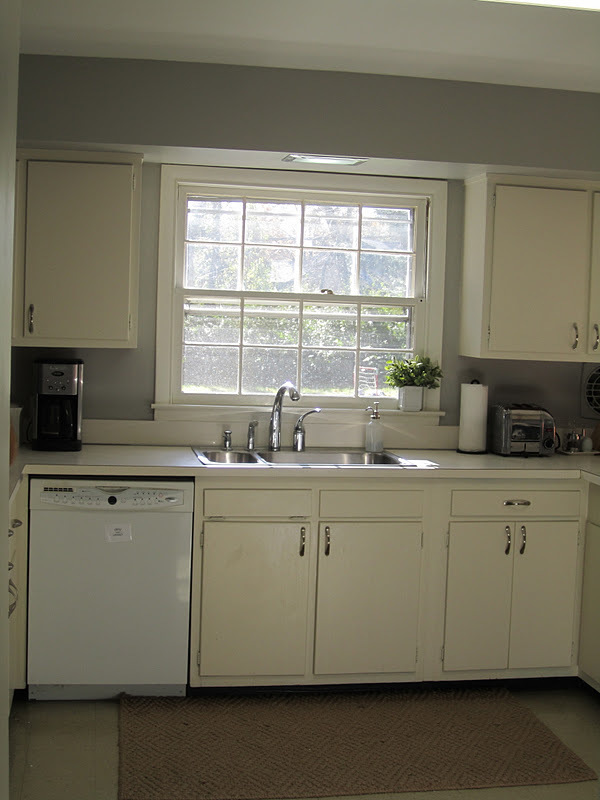 Swoon Style and Home: Kitchen and Den Paint: Check! Woo Hoo!!! 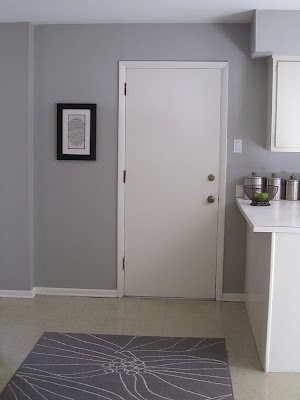 Last week, I revealed the color that I chose for my kitchen and den (and eventually entryway, up the stairs and both the upstairs and downstairs hallway): Mindful Gray by Sherwin Williams, which I had the guys at Lowe's color match to Olympic One. 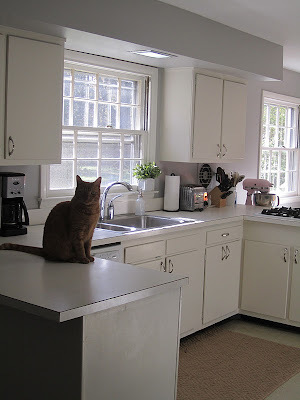 Before, we had dark wood on the built-ins, a brown-grey mix of stone on the fireplace, no curtains and taupe on the walls. Now, what a difference! Soothing grey walls, crisp warm cream on the fireplace and built-ins, curtains at the window. Now, the grey on the walls and a nice jute rug warms that space right up. Before, the kitchen was very white with the wall color and cabinet color looking pretty similar. Now, the grey on the walls makes the cabinets look a lot whiter and crisper (although, it is really tough to see it in this picture - sorry). Before, the walls and floor pretty much blended together. Now, they grey defines the space (different angle, but you get it, right?). Before, oh boy. We had a black table and brown chairs. No rug. 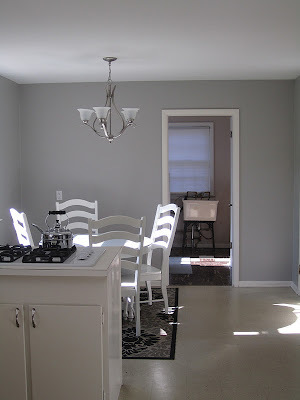 Now, we have the *perfect* rug under the table, a soft Comfort Grey table and white chairs. Ahhhh. WOW! I absolutely, positively LOVE it! What a transformation! I love the contrast w/the gray and white! Beautiful! Shanna it is absolutely lovely!! It looks so airy and fresh!!! I love it !!! It's beautiful!! Shanna, it looks amazing. The gray is the perfect color for the space, your style, and your decorating choices. Everything looks so good against the gray. Can't wait to see what the rooms look like once you hang your pictures. It looks awesome! Such a transformation. Great choice with the color. I love it up against the white, and with the blue accents in your den. What a transformation, Shanna. I think you need your own decorating program on HGTV! It looks awesome! I've been waiting all week to see this!! Wow, that color looks great. 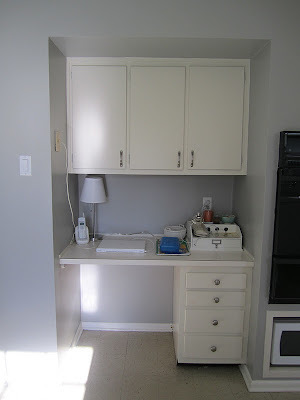 It's amazing how much a coat of paint can change the look of a room. 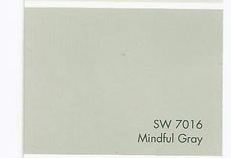 Mindful Gray! I love that name! It looks beautiful, Shanna--such a difference! Amazing! It looks so beautiful--you've done a great job bringing out your vision. I never ever would have thought gray could look so good. LOVE! It looks amazing. It makes all the white pop. How did I miss this? I love the color. So calming! I love the color change! The fire place was a great call! Loooove the color, I'm a big fan of grey, it goes with everything :) Your house looks amazing!! 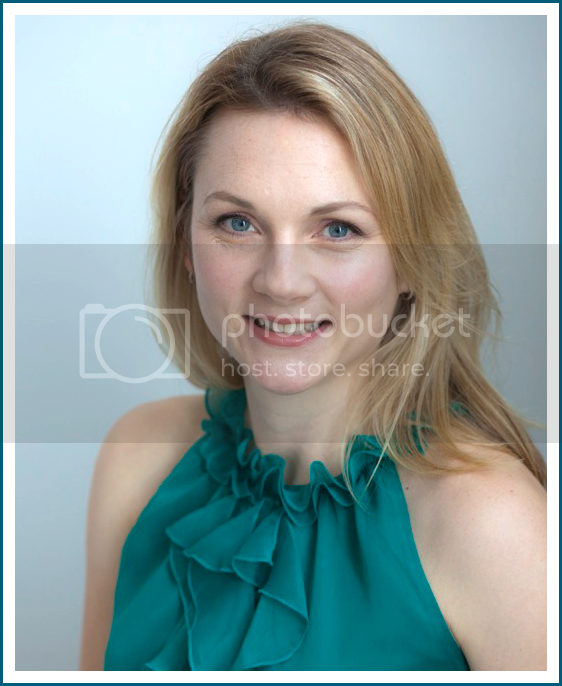 Shanna, that is gorgeous!!! That made such a difference! I adore that color (and coupons are always the best bonus). Especially with the white fireplace/bookshelves! Great job! Thanks for sharing at my party! Love this room! Perfect color combo. Where did you get your curtains. I want them!!!! I agree with Shanna. Olympic One is fabulous paint and cheaper than most others. Covers very well! I wish I could send you a pic of my living room! You inspired me so much and it looks fab. Thank you so much! Hi Shanna - I'm late to the game on this one, but where did you purchase your sofa? Here is my before and after. Thanks so much for all the ideas and help! Love it! But the only thing bothering me is the tv placement. I think it would look much better centered over the fireplace instead of centered in the entire wall, then maybe add a circular mirror or something smaller on the wall over the bookshelf to the left (or maybe continue those bookshelves up to the ceiling). Great room! Awesome! Looks great! I am convince now to use this color in my kitchen & family room. Wish my husband would let me paint the fire place white.